Spotlight on Wild at Art Camp: Whooooo loves Owls!!! Give your child the chance to experience the transformative power of art and nature! 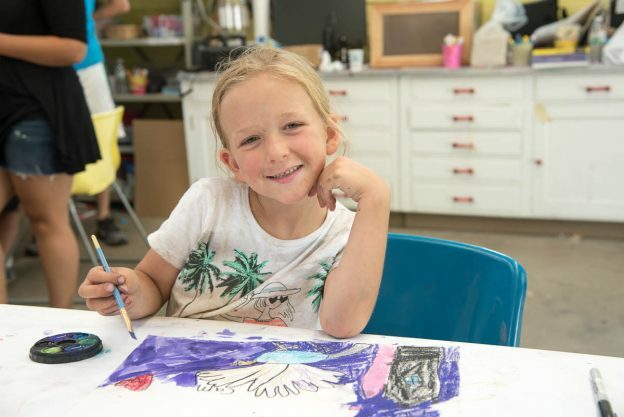 Our unique camp setting—part wildlife sanctuary, part art museum and studio—inspires creativity, promotes well-being, and enhances connections to nature. We provide a safe, fun-filled camp experience specially designed to foster a child’s creativity, sense of wonder, and bond with nature. During the spring, we will be highlighting different camp sessions. First, this post highlights our Owl week, which will bring two different live Owls into camp from Mass Audubon’s Trailside Museum. Do you love owls! Do you want to see live Owls up close and learn all about these amazing animals? 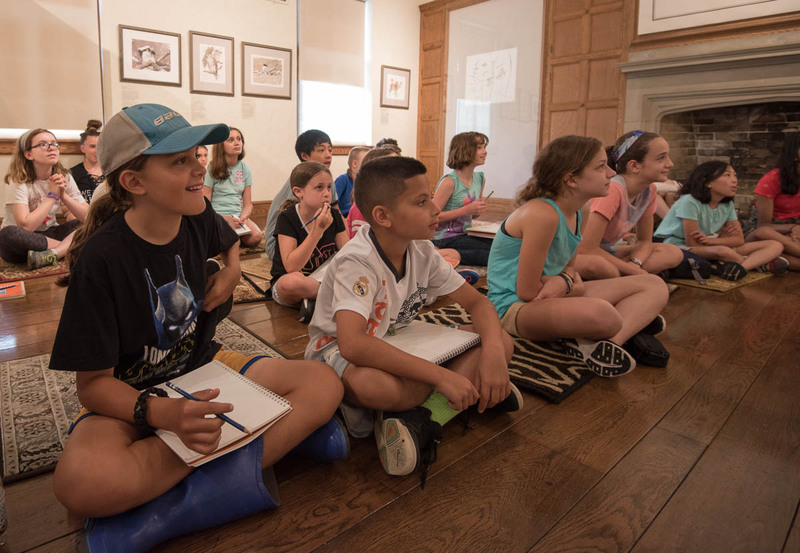 Check out the look on the faces of campers from last summer when they see a Great Horned and Barn Owl in our museum. Owls soar into camp again this summer! 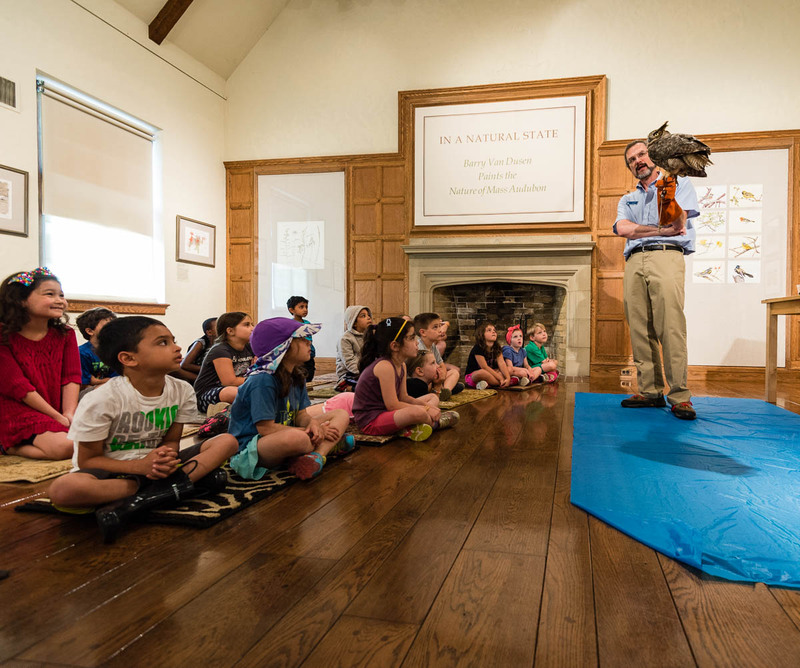 Spend the week on the prowl for owls; it’s sure to be a hoot and filled with “owly” puns. 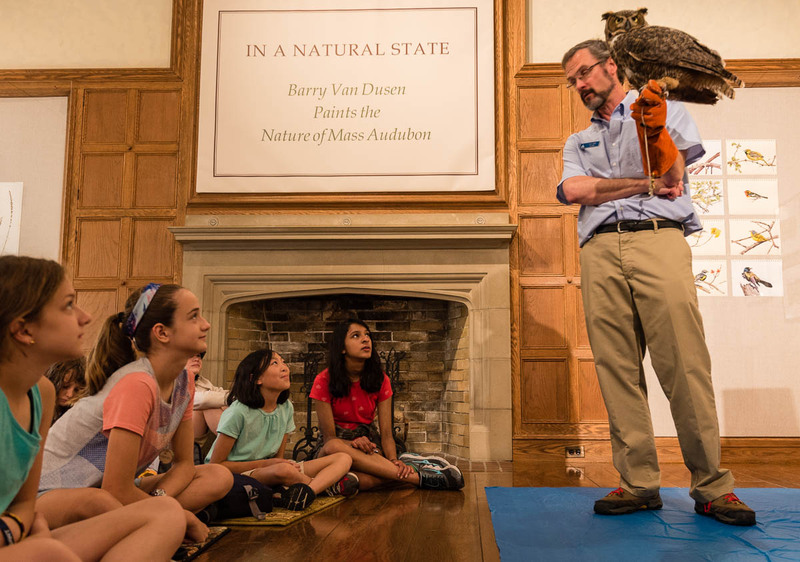 See live owls up close, learn about their special adaptations, and create art based on the different species found in Massachusetts. You will learn different handbuilding techniques, including slipping, scoring, coiling, and more. This entry was posted in News on March 2, 2018 by Sean K..